I usually review and compare high-quality headphones from Bose or Jaybird. 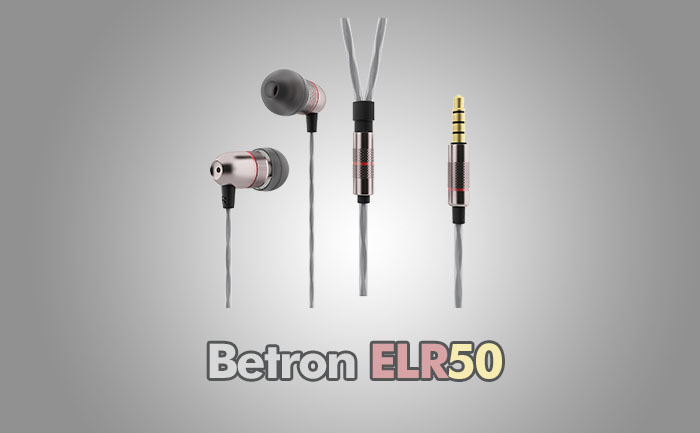 This time I took a different approach than usual and I’m going to review the Betron ELR50 headphones. I decided to do this because these earbuds offer a great value for the money. If you can’t afford headphones for 100$+ dollars, you should definitely take a look at these, especially after a price drop. Read on to find out more about this Beltron model. It is a very rare case when the much cheaper product can compete and even defeat the much more expensive headphones. But it’s probably the case in this example. The build quality of these headphones is better than much more expensive Skull Candy earphones. The Betron ELR50 model is a combination of a light aluminum design and a neodymium 9.2 mm drivers for high precision sound. If you usually use cheaper earbuds and don’t want to spend a lot of money on new Jaybirds, you should definitely give them a try. With the earbuds, you also receive four sizes of silicone earpads to have the most comfortable fit. It is important to keep them in place and isolate the sound from the outside world. I worried that for such a low price they can’t deliver good quality and the earbuds would not fit properly or hurt my ears after a while. But I can admit that they are comfortable to wear for extended periods of time. I don’t have any complaints on these so far. The earbuds come with a little clip which you can attach to a shirt. It’s helpful because it’s hard to run without that. Lastly, there is a carrying case that is useful if you want to carry your headphones around. Before you start using them, you should really make some tweaks in your Equalizer in order to make them sound more natural, probably by reducing bass and adding a bit in the mid and high end. If you tweak them just enough they are good for listening, otherwise, the sound can be a bit muddled. The clarity is great, the bass is punchy, treble is lacking a bit, but after tweaking it with equalizer everything should be fine. It comes with a 1-year warranty and 30-day money back guarantee. PROS: Price / Good sound / Additional earbuds / Carrying case.